Sylvia Smith is an Architect and Senior Partner at FXCollaborative. Sylvia joined FXCollaborative in 1982, and formed the firm’s Cultural/Educational Studio in 1996. Under her direction, the studio has designed award-winning program intensive projects of varying scope and size across the United States, and in Africa and Turkey. 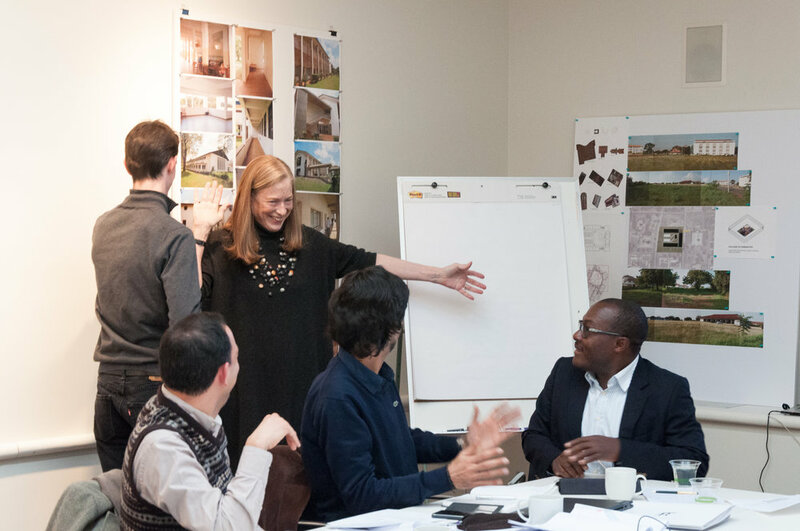 From private schools and universities to large and small cultural institutions, Sylvia is constantly cultivating new ways to make architecture more expressive, enriching, and sustainable. Sylvia’s current work includes The Statue of Liberty Museum, a 25,000-square foot new museum on Liberty Island, the new Children’s Museum of Manhattan, the new Center for Media, Film and Theatre at Purchase College, and a new 450,000-square-foot Business School for Columbia University (in collaboration with Diller, Scofidio + Renfro). Sylvia was Partner-in-Charge of the Lincoln Center Redevelopment, which included the Juilliard School expansion and the renovation of Alice Tully Hall (with Diller Scofidio + Renfro), as well as the Lincoln Center North Plaza. She designed the adaptive reuse of the Lion House, the first landmark building in New York to receive LEED Gold Certification, and the LEED Gold Certified Center for Global Conservation, both at the Bronx Zoo. Sylvia is active in many industry, educational and arts organizations in New York City and the region. She is on the Board of Trustees and Executive Committee of Dickinson College, the Board of Directors for the Design Trust for Public Space and the Board of Directors of Storefront for Art and Architecture. She is a member of the Advisory Board of the Beverly Willis Architecture Foundation and the Yestermorrow School, and former Chair of the Fellows Committee for the AIA New York Chapter and former member of the Dean's Advisory Board of the University of Virginia School of Architecture. 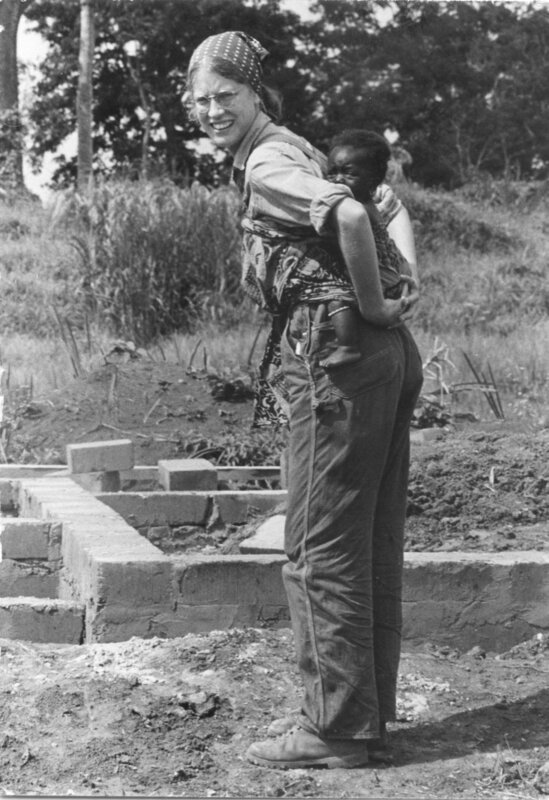 Sylvia earned a Bachelor of Arts degree in studio art and art history from Dickinson College, where she was named a Metzger Fellow. She received her Master of Architecture from the University of Virginia School of Architecture in 1978. In 2008, Sylvia was elevated to the College of Fellows of the American Institute of Architects. In her conversation with Julia Gamolina, Sylvia speaks to all things design, sustainability, and service, and advises young architects to find their passion and to work together. SS: I wasn’t aware of architecture as a profession until I graduated from college. My first job out of college was at the Fine Arts Library at the University of Virginia - I was directing the architectural visuals collection. There, I was introduced to architectural professors, architecture students, and architectural education. All my interests came together in architecture so I went on to pursue my master’s degree in architecture at UVA. When I reflect back, however, I was always building and making things. I built a wonderful tree house as a kid, much to my mother’s dismay [laughs]. When playing with dolls, my dolls weren’t as important as the dollhouse. My teachers would never leave me alone in the classroom because I would rearrange the desks depending on what we were learning [laughs]. From childhood, I was interested in space and how people occupy it. Early on, you worked with Michael Graves. What was this like? The office was small so there was an immediacy to the work. I became more sensitive to the importance of design in all things. Work there didn’t end on a Friday – we would do outings and go places - Philadelphia, New York, Fort Wayne, Chicago - to see buildings, look at exhibits, visit book stores. It was a constant immersion and that felt right to me. You’ve been with FXCollaborative for 36 years and have built the firm's Cultural/Education Studio here. Tell me about your early years there. When I started, there was a strong cohort of younger people who, even though Bruce Fowle and Bob Fox were the founders and strong leaders, were not shy about proposing new ways of doing things. That was a valuable beginning for me and made me feel that I had a voice at the office. Outside the office, I would sometimes stand in for Bruce at the then male-dominated AIA. I decided early on that that atmosphere would not deter me. I would work to change things and knew I would never give up on a profession I loved. At the beginning, high-rises made up the majority of Fox & Fowle work. I’ve enjoyed working on them, but when other commissions such as a school renovation or a nature center came into the office, I would work on them with Bruce. In 1986, the firm won the assignment to design the new American Craft Museum on the south side of 53rd Street. I did not hesitate to ask to join the project team. The ACM had been my thesis project in graduate school. I got to build my thesis project — in abbreviated version. How did you develop the Cultural/Education Studio at Fox & Fowle as its own entity back in the day? In the early 90’s Bruce said to me, “I want people to come to the firm because they want you to design their school.” That helped shift my mindset from “I work at Fox & Fowle” to taking more ownership. I was made a partner in 1996, though Bruce and Bob had started the partnership process much earlier. To see how they were thinking about the succession of the firm, the next generation of leadership, and the relationships of the people involved - not just with them, but with each other - was valuable experience. Around that time, I proposed, with encouragement, to start a studio that focused on cultural and education projects. It was important for me to listen to and work with clients who were building to fulfill their mission, for a particular use. I proposed that we hire people with that kind of sensibility, experience, and creativity. The studio evolved from there. It’s a blur! Our talented group has done excellent projects large and small. I value the ongoing relationships that have grown from our projects. Studio Z is currently working on the Moretti Education Center at the Black Rock Forest Center for Science and Education, for whom we built our first building twenty years ago. What did becoming a partner mean to you? Becoming a partner was an important threshold. Bruce would always say, “You should be here because you want to be here.” I would consider other opportunities from time to time but I kept coming back to the fact that the firm had a strong value system and believed that responsible design, design that responded to and created a sense of place, was important. As a partner, I had the opportunity to take on more responsibility and further commit to those values. It solidified my platform and ideas, and I enjoyed being part of the firm’s forward momentum. How would you say your career evolved from when you were in your 20s, 30s, 40s, etc? What were the phases in learning? My twenties focused on education and exploration. I went to a wonderful liberal arts college, studying wide-ranging things while making art. I worked for two years in the Fiske Kimball Fine Arts Library before I started the MArch program. I designed and built two houses in the Charlottesville area before I left, so I didn’t start working in New York until I was thirty. My thirties began with learning the in’s and out’s of living and practicing architecture in New York. A lot to master! For some reason, I remember finding a good dentist a distinct challenge! To augment my New York experience, I got involved with the Yestermorrow Design Build School in Vermont. I would spend my summer vacation teaching a two week course on concepts of design and basic techniques of building. That took me out of frenetic pace of the city and into a creative architectural community that was asking questions about sustainability early on. John Connell started the school to challenge the consumptive and commodity-driven precepts of home design and construction. My Vermont experience motivated me to propose to Bruce that we develop sustainability principles for the office. We tailored our standards to fit the New York context and were one of the first firms in the city to be recognized as "green". Then we won the first Black Rock project, where, given their mission, we implemented innovative strategies like geothermal wells, super insulated walls, PV’s, and composting toilets. Being part of this initiative was foundational and continues to influence all my work. My career and my life have also been defined by service. I am on a number of boards, and so I have the opportunity to apply design thinking in other contexts. For instance, as Chair of the Facilities Committee of the Board of Trustees at Dickinson College, I have worked to elevate the importance of place and the role of good design and encouraged the formulation of sustainable strategies in the buildings and their landscapes. Where are you in your career today? I remain excited about what I do and welcome the opportunity to explore and refine architectural ideas. The Children’s Museum of Manhattan commission presents the challenge of artfully bringing together the stately old and the innovative new. I would love to do another Center for Global Conservation or Statue of Liberty Museum where there’s an interplay of building and landscape. The Nairobi project, a new campus for the Aljamea-tus-Saifiyah, too, involves a dialogue between buildings and landscape. Continuing to refine design ideas and see them beautifully realized drives me. What have been some of the biggest challenges in your career? The current challenge has been finding a life balance and not sacrificing health, relationships, and creative projects to external obligations. I showed you my calendar for the week, which was entirely colored – in other words, every hour of my day is scheduled. We are starting today together at 8am with this interview, and we will be ending this day together at a dinner at 9pm, so I think you understand. Looking back, there were also times when it’s been lonely. There were few female peers, clients, or consultants. I’m vocal about the recognition of women in the profession but that was more difficult to do early on. I always felt I was treated fairly, but on a larger level, the male dominance of the AEC profession is a daily challenge. I am encouraged by the current activism and awareness around issues of inclusion and implicit bias. And, as the eternal optimist and positive activist, I am confident things will continue to improve. What has been the biggest lesson you’ve learned? Asking others for help is a lesson. I think many of us suffer from the notion that, “I’ve got to figure this out and do it well.” I’m not good at saying, “I’m going to sit down and knock this out and it will be fine.” I wish I were better at that – now you’re getting my true confessions [laughs]. I tend to go away and think on my own. I’ve learned that it’s often better to do that for a short time, then sit down with one of the great collaborators in the office and say, “Here’s what I’m thinking”, get feedback, and move forward. On the other side, what have been some of the best highlights and what are you most proud of? There are too many to list. Starting Studio Z, the quality of the work, the way everyone engages with each other and with what they’re doing, are broad highlights. Daily highlight: working with an amazing, creative and smart group of people. Practicing in New York has also been and continues to be a phenomenal experience. There’s not a project that we’ve done that doesn’t have a distinguishing design quality. There were some tough clients along the way, but I think all the work that has come out of the studio was elevated through our collective effort, and I’m proud of that. The Center for Global Conservation remains a project highlight. I’m remain close to the people that occupy that building and they continue to tell me how much they love being there. Realizing that kind of sense of place is particularly satisfying. Fundamentally, that good design makes a difference. Doing what we do and doing it well. Ideally we make places that are meaningful for people and the importance and responsibility of architecture is a driver for me. Honesty and ethics are also driving forces. I hope what I do is treat people fairly and directly. Finally, what advice do you have for young architects? Make sure to find the things you are passionate about. My up-bringing and my liberal arts education encouraged me to question concepts and engendered a curiosity and a willingness to explore - that’s the part of a creative mind that one must maintain. Find a newness in things you’re doing, and try to look at things in different ways. We look at a design problems in multiple ways – I think you have to do that in your life and always seek a fresh perspective. If you’re doing things so can check them off a list, a richness to life is lost. You’re creating a tapestry that should be varied, textured, and beautiful, so find those things that make it so.